Are you planning your vacations on the divine coast? Would you like to plan it all before you leave home? Well…this is the right place to search! Just keep on reading. 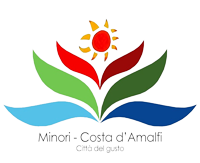 We will give you a mini guide around the Amalfi Coast. Amalfi Coast vacations can be planned in every detail, it is a wonderful place to discover! The Amalfi Coast is well known all over the world. It almost does not need a presentation. It is very beautiful and there are towns with astonishing views, magical isles and excellent food. The following information should be useful to have a good trip and also visit those not so well known places. We also suggest you look for a hotel well connected to the main attractions, in a nice town on the coast and above all where you can save money. In this way you will enjoy your holiday even more. You will surely want to do some boat tours, go to the isles, take many pictures, spending a great time at sunset with a refreshing drink in your hand. 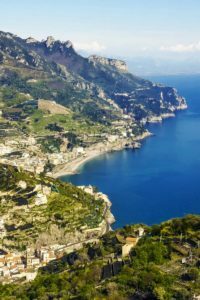 Things to do on the Amalfi Coast? Eating out, going on boat tours, trekking. This is the typical Amalfi experience. Visiting around is a must, there are so many beautiful attractions. We suggest you book your room at the hotel Europa in Minori, in an easy to reach town, an inexpensive hotel with a super tasty breakfast signed Sal De Riso pastry. Check it here! You would not want to miss the famous tours? Why not rent a boat with a captain. Do you want to enjoy the view while travelling on the road? Take a city sightseeing Bus. Do you want to go trekking? Just ask at reception for the best routes to take. The Amalfi Coast tours run along the coast road. This narrow and winding road will bring you to the most suggestive towns such as Positano, Furore, Ravello and Sorrento. You can rent a car with a driver to get the most out of your trip. Another alternative is to take the ferry from Minori to Amalfi, to Positano, the Capri and Ischia isles or Sorrento. The ferry is very romantic ♥. Amalfi food is the keyword? Obviously fish. You could buy a “cuoppo”, a paper cone filled with all kinds of fried fish, every town has its own speciality. But should you want a vegan dish then every restaurant will be able to help you. The two typical ingredients … lemon and tuna. Lemon is used in many dishes, from the first course to dessert. The tuna from Cetara is famous, in fact, its name derives from the meaning of tuna, being “cetus”). In Cetara there is the production of a rare flavouring that comes from the maceration of anchovies, namely the Colatura. For sure the colatura and Limoncello will be great souvenirs for you to take home to your friends. For those who are thinking of holidays on the Amalfi Coast, it is useful knowing the names and distances between the towns. Mysterious pathways are hidden away, to discover them … go trekking, to appreciate the breathtaking views from the heights and to reach the other towns by walking. Want to know more about the main attractions of this Amalfi Coast? Please read the lines below about Amalfi, Ravello and Positano. Situated at a higher position to that of the others towns, it boasts of the most fantastic views. In Ravello there is a music festival all summer long, for this reason it is called “the city of music”. Another thing you must know about Ravello: there are two wonderful villas namely Villa Rufolo and Villa Cimbrone. To visit them, tickets cost 13€ for each villa, you can also have dinner there if you like. What makes them famous all over the world? The Terraces. They are definitely an Alice in Wonderland scenery. Go there to take the most amazing pictures for you to share! This town is a piece of history in itself. Have you ever wondered about why such an important cathedral should be in a small town like this? Amalfi, the ancient Maritime Republic, where the maritime laws were written, a beautiful old town with sea view, it is one of the four famous martime towns in Italy, together with Pisa, Venice and Genoa. During the centuries it has also been important for the production of handmade paper, which can also be purchased, certainly a unique souvenier. So when you go to Amalfi, do not miss the Cathedral of Saint Andrew and of course the Paper Museum. “Positano bites deep”, this is a quote about this enchanting town from the 50’s, it is a good description. In Positano there is not a cathedral, there are no museums or large terraces to visit, but yet there is magic! Is it because it is called “the vertical city”? Is it because of the colourful buildings? It could also be due to the old town, with the numerous stairways and its unique beauty, full of elite fashion and bougainvillea. Enjoy a delicious cocktail in this romantic town after a nice shopping tour of the many boutiques and galleries. Did you like our description of the Amalfi Coast? Thank you for visiting us and do not forget to book your room to start your holiday now!